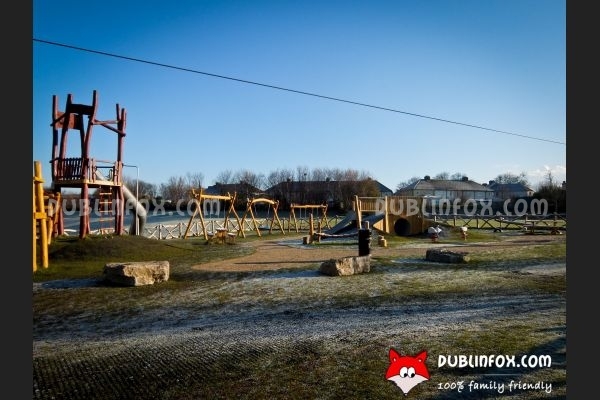 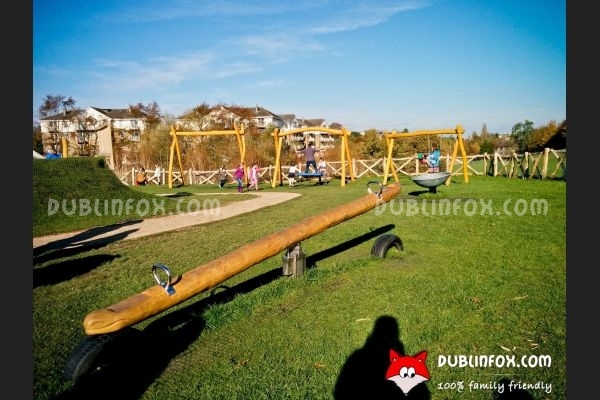 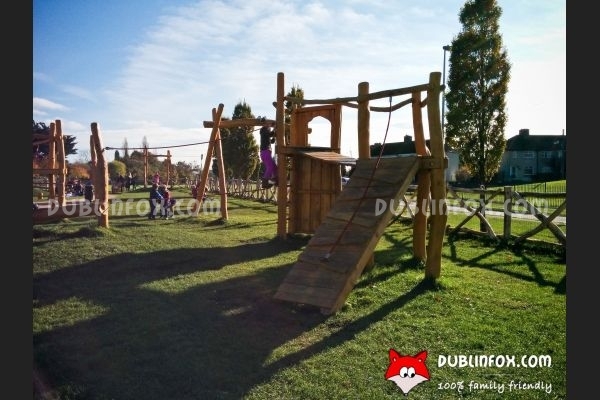 The long-awaited playground in Windy Arbour was opened in the autumn of 2014. 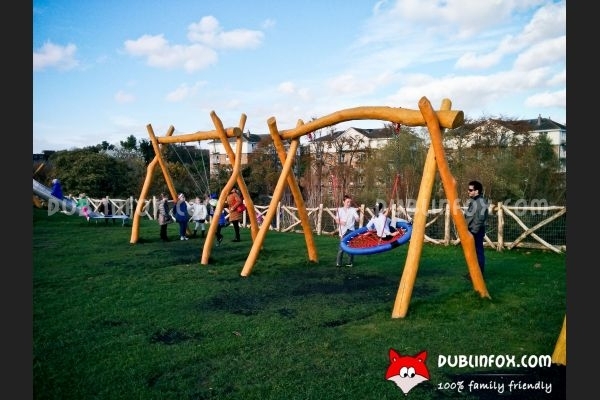 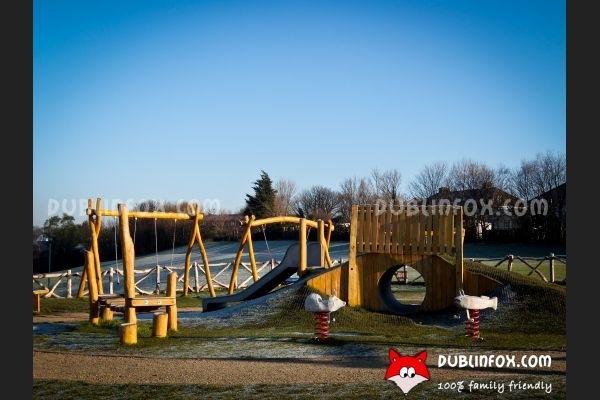 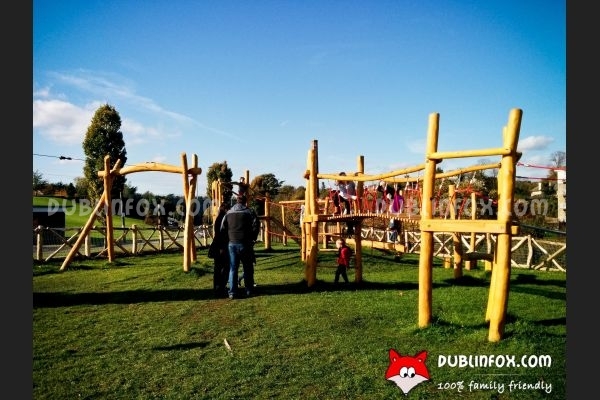 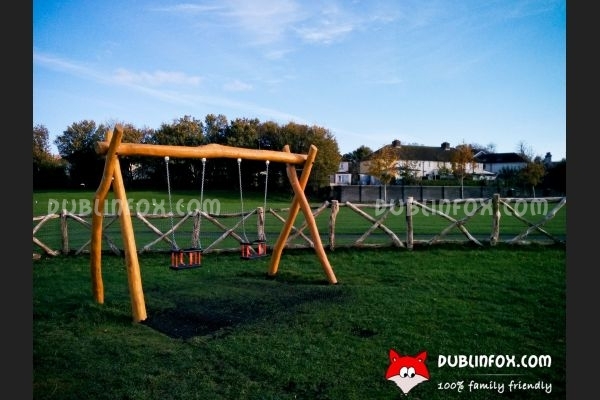 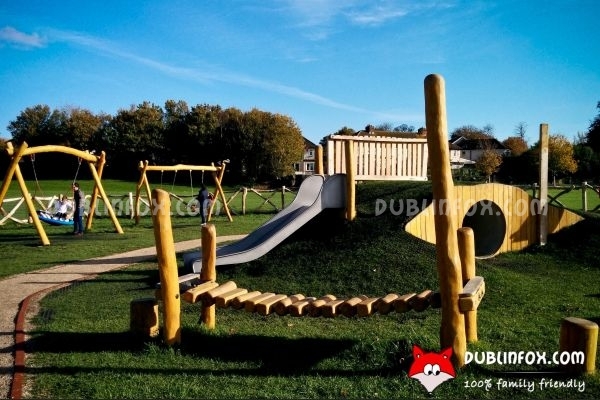 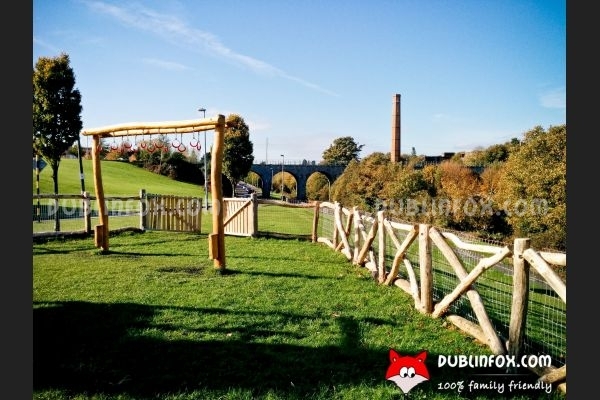 Its size is not too big, but it is packed with various sturdy, wooden playing equipment, so between 1 and 12 any kid can enjoy this new addition to the area. 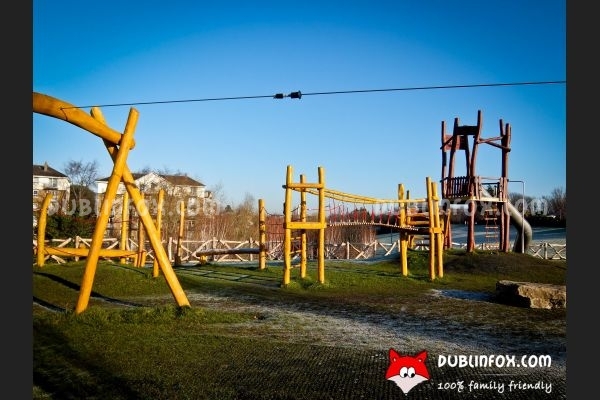 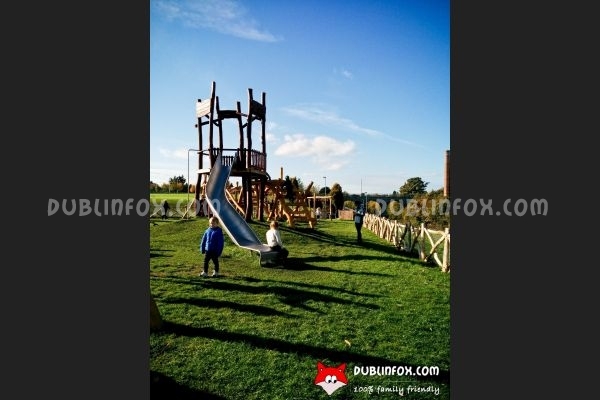 The long zip-wire, the giant multi-play unit with slide and the climbing structures are perfect for older kids to play on; while for toddlers, there are two baby swings, a basket swing, a see-saw, a balancing unit and a smaller slide with tunnel to enjoy. 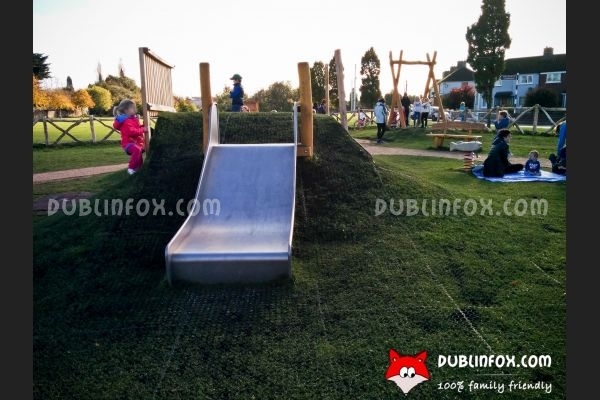 The surface of the playground is grass, which is natural and looks cool, but on rainy days it might get a bit muddier than other surfaces.